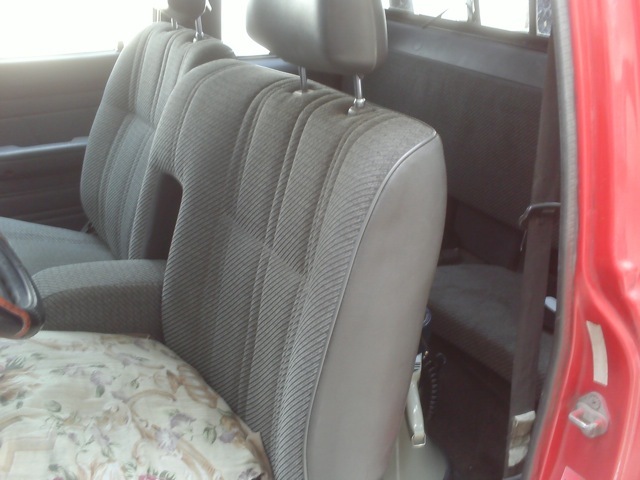 One of AUMOHD’s most pressing needs after the earthquake was transportation. AUMOHD headquarters is located in mid-Delmas (49) separate from, but part of the capital sprawl of overcrowded city housing and burdened with end-to-end traffic and the crush of sidewalk vendors. With cellphone service spotty and electricity non-existent, in order to effectively communicate with the various groups it supports, AUMOHD needed to be mobile. 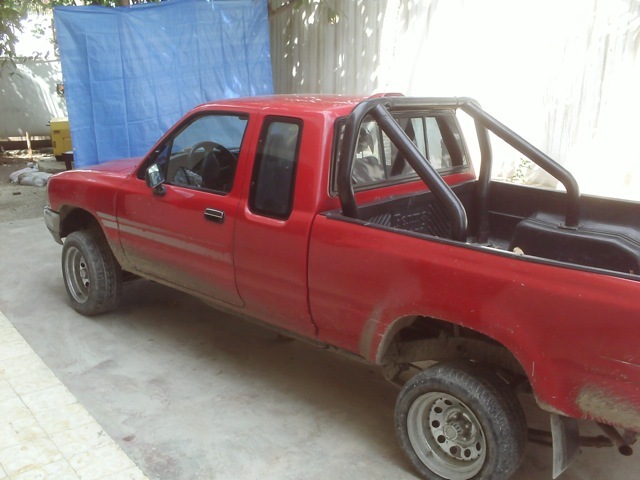 The previous AUMOHD vehicle purchased with HURAH funds was destroyed in the quake. 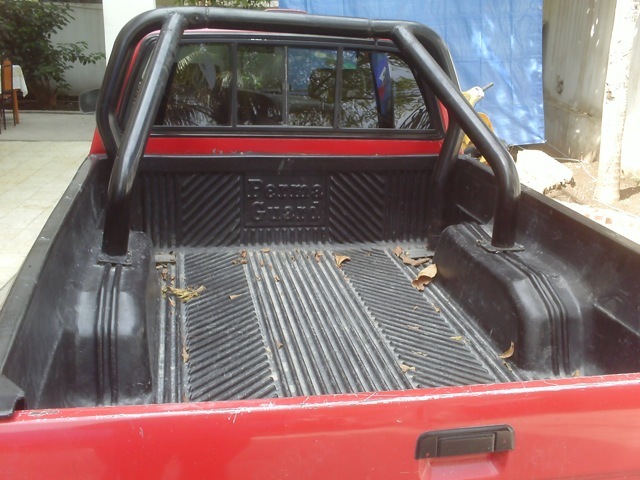 With financial support from HURAH, AUMOHD was able to secure this used, but beautiful Toyota pickup truck (the engine in this vehicle, the 1994 Toyota 22RE, is the most reliable gas-combustion engine ever produced, and should serve AUMOHD for years to come) . 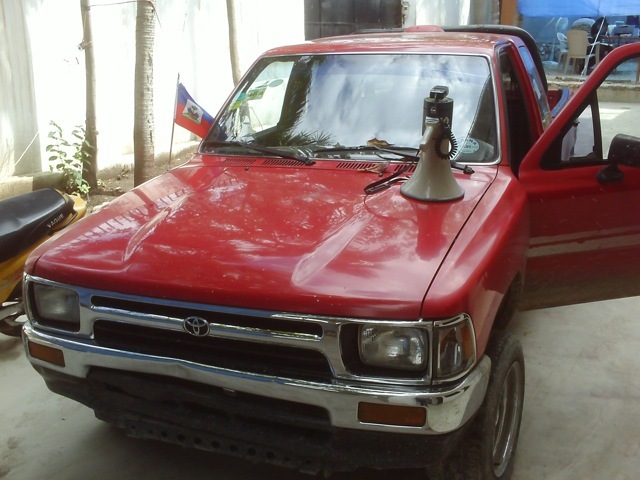 Pictured also is the bullhorn AUMOHD President Evel Fanfan requested for use in addressing mass meetings. HURAH President Tom Luce transported the bullhorn all the way from in Berkeley, CA. 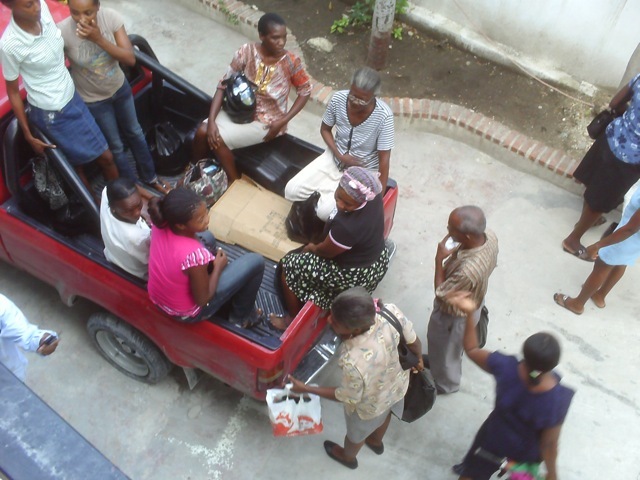 The AUMOHDmobile was put into immediate service, transporting women labor organizers from their homes all across Port-au-Prince to a labor rights training session. 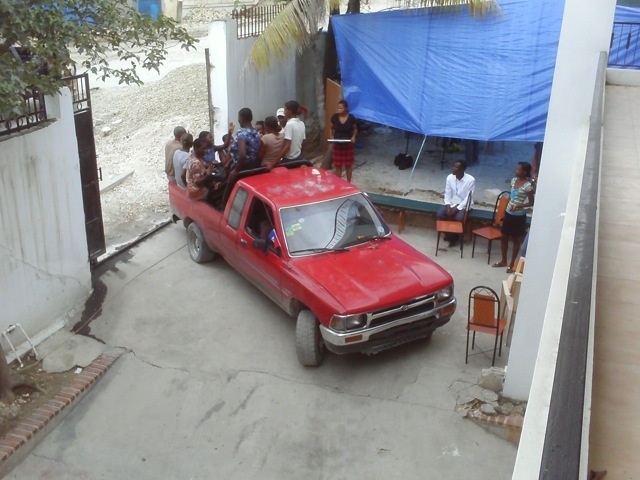 In partnership with ACILS, AUMOHD conducts trainings on labor rights for Haitian workers. 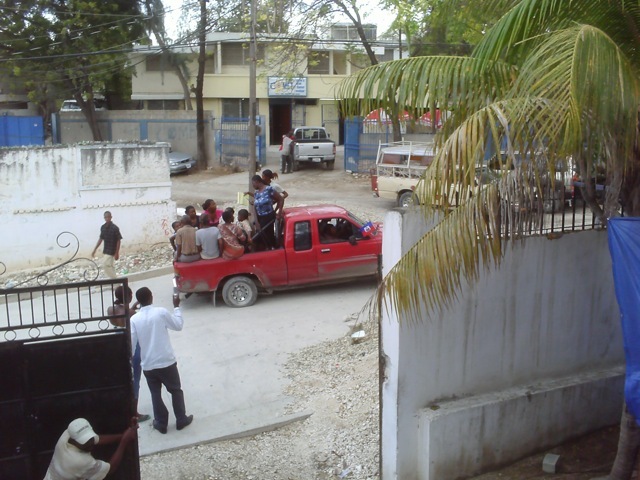 Sweatshops abound in Port-au-Prince, and basic labor rights are often ignored. Part of AUMOHD’s mission is to educate labor organizers on their rights. 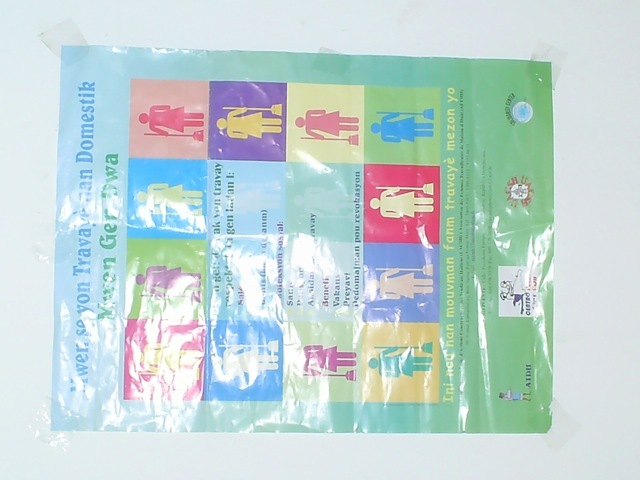 This poster hanging at AUMOHD headquarters depicts rights for domestic workers.